707 Inc is one of the more reputable bus operators in the industry today, growing exponentially since 2002. They specialise in trips to and from Melaka and Genting Highlands to Singapore. 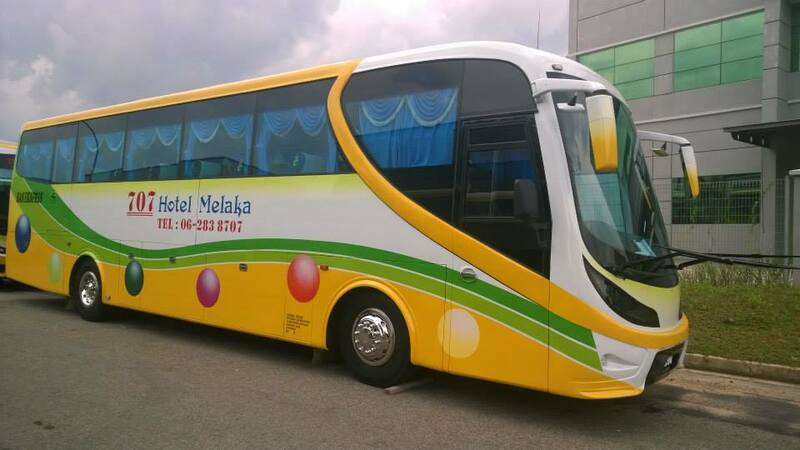 Their fully air-conditioned express buses come in the form of a single and double decker buses, both armed with comfortable reclining seats with spacious legroom, perfect for long distance travels. Timely departures and arrival are another one of their traits, making it one of the prefered bus operators along said routes. Their coaches are driven by well trained and reliable drivers ensuring safety to all passengers who cruise aboard their buses across various highways. Address: Jalan Tun Razak, 75400 Melaka, Malaysia. Address: Genting Highlands Resort, 69000 Pahang Darul Makmur. CatchThatBus offers online bus tickets to many routes covered by 707 Inc as well as seat availability features. You can book your bus ticket online from our website or via mobile app which can be downloaded for free on Google Play or App Store.